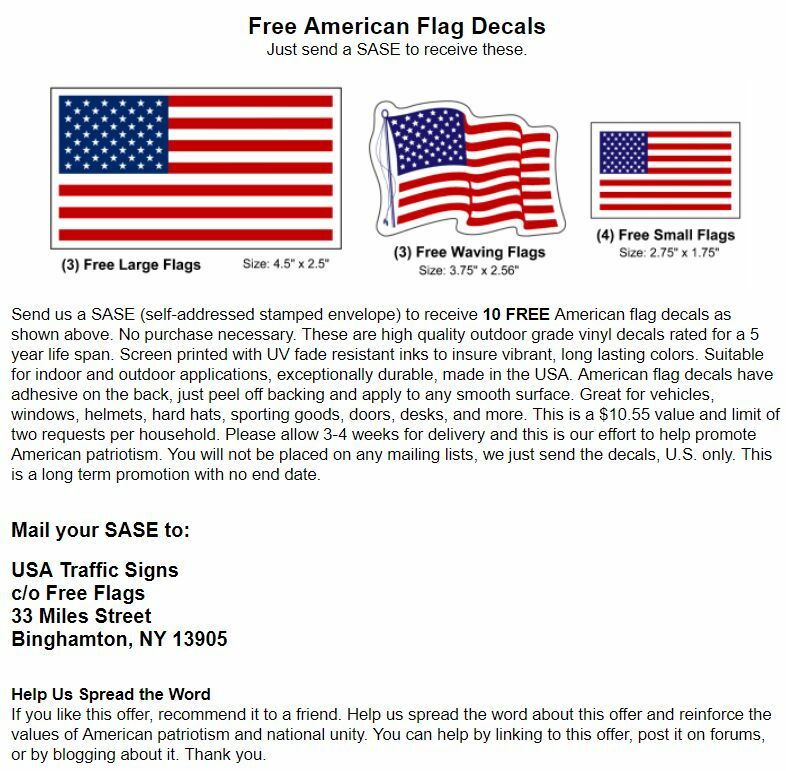 Send them a SASE (self-addressed stamped envelope) to receive 10 FREE American flag decals as shown above. No purchase necessary. These are high quality outdoor grade vinyl decals rated for a 5 year life span. Screen printed with UV fade resistant inks to insure vibrant, long lasting colors. Suitable for indoor and outdoor applications, exceptionally durable, made in the USA. This is a $10.55 value and limit of two requests per household. Please allow 3-4 weeks for delivery and this is our effort to help promote American patriotism. You will not be placed on any mailing lists, we just send the decals, U.S. only. This is a long term promotion with no end date.